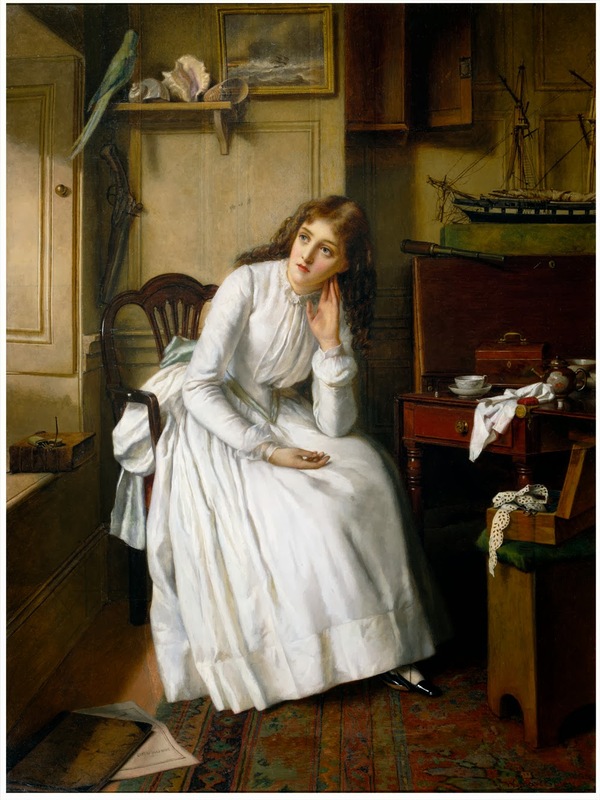 The Kissed Mouth: What the Dickens?! 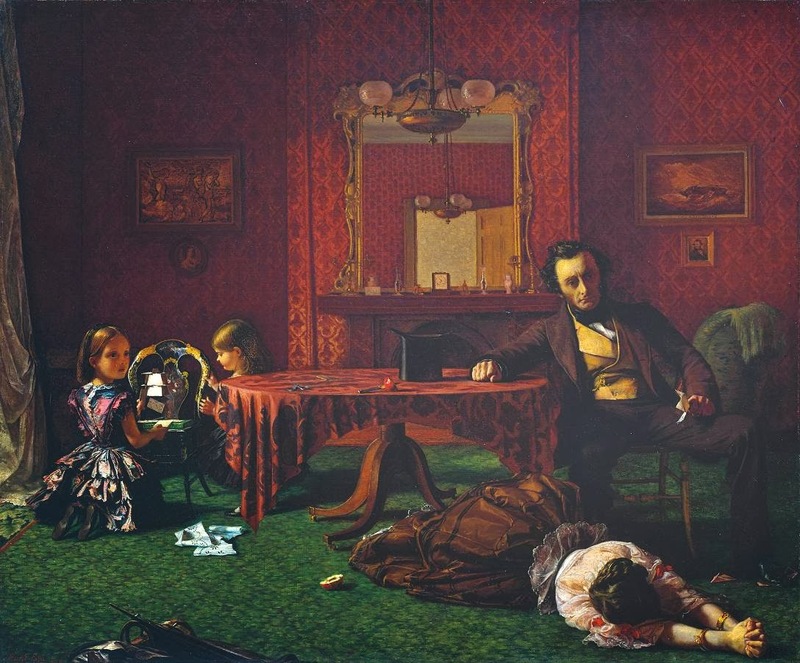 We all know Dicken's opinion of Millais' Christ in the House of His Parents, but do we know how he felt about any of the other Pre-Raph works, like the ones you show above? 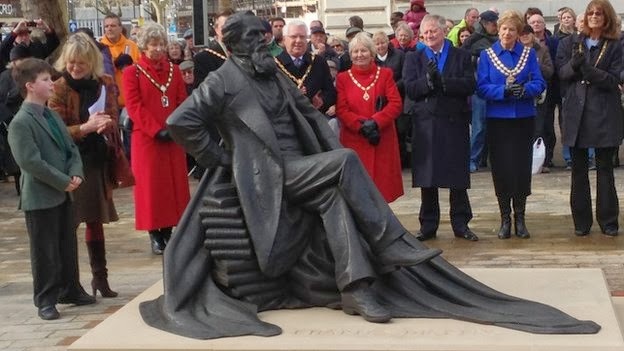 George Meredith was also born in Portsmouth 186 years ago next Wednesday. I'm in a minority, I know, but I prefer his novels to Dickens'. I've got a pencil drawing that my grandfather made of his birthplace sometime in the 1920s. Is the house still standing, does anybody know? Has he got a blue plaque? And where's his statue, huh? 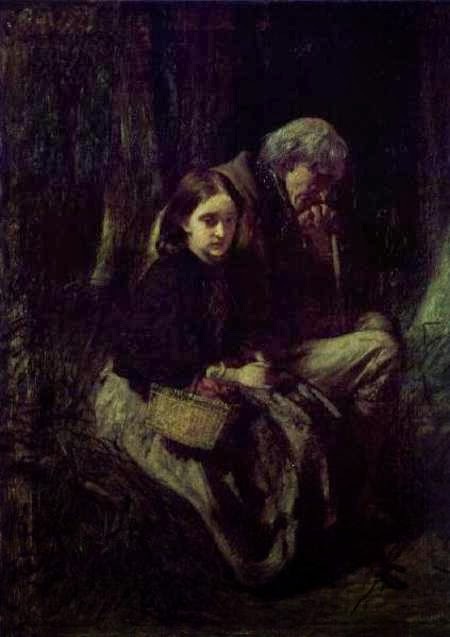 I will try and sit on Dickens' knee (he is hardly likely to refuse me, which is a bonus), but I think in later life he mellowed to them, especially Millais, who I think he got to know (although I may be wrong about that, I'm just dredging my memory). No statue, sadly. If someone would like to erect one to him, I will obviously sit on his knee too. 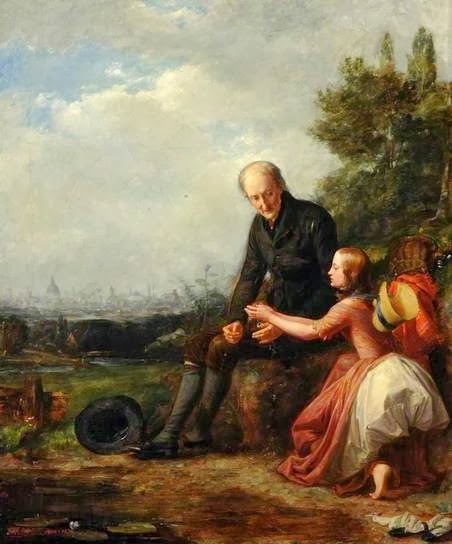 Dickens of course was related to the PRB through the marriage of his daughter Kate to Charlie Collins. 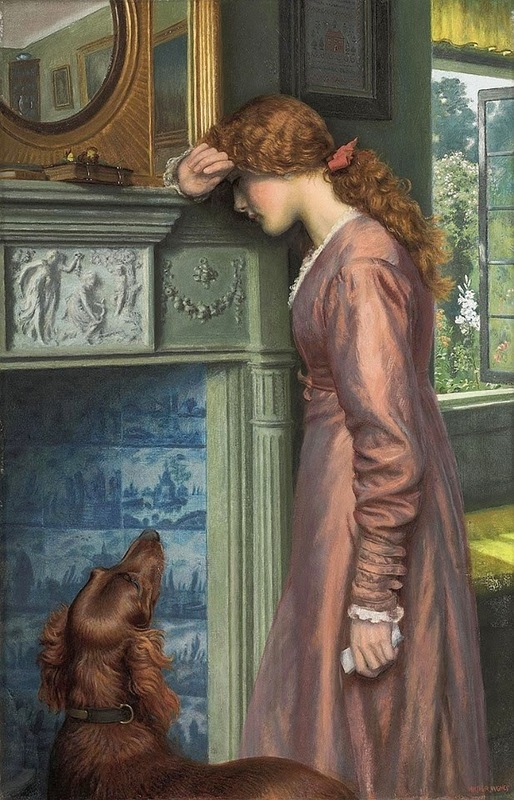 She later married Charles Perugini, the classical painter and was apparently a pretty decent painter herself though I don't actually recall seeing any of her works. 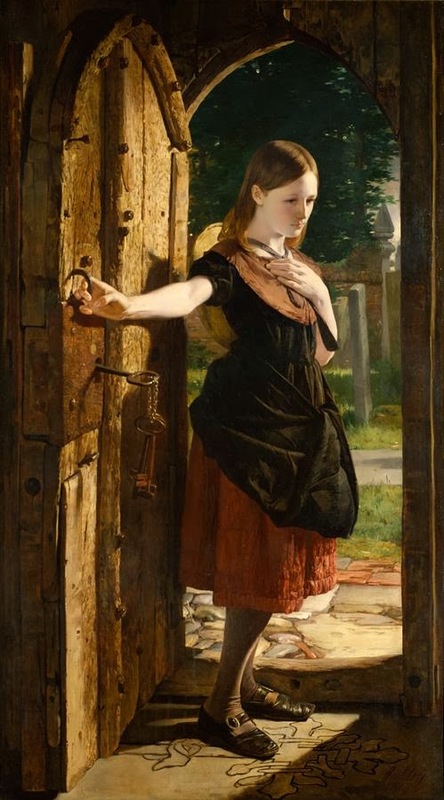 Dickens and Millais were on friendly terms in later life and I think I am right in saying it was Millais who suggested to Hunt that he should ask Dickens' advice on how much to charge for "The Finding of the Saviour in the Temple". £5500, so pretty good advice! I was put off Dickens in school, partly by the ridiculous descriptive names everyone seems to have but I do keep meaning to give him another go. Any recommendations about what to start with? Surely the most interesting fact about George Meredith is that Rossetti once threw some poached eggs at him, and please don't tell me that story isn't true! Joking aside, obviously the most interesting thing about Meredith is the novels he wrote, which are wonderful. He wasn't a genius quite on the Dickens scale, but I enjoy him much more. 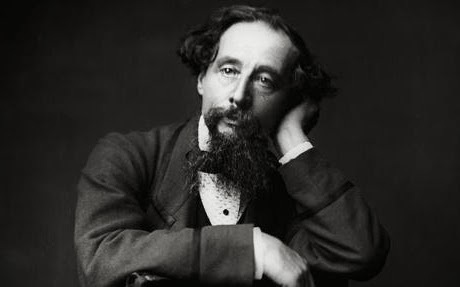 It puts me in a minority, I know, but I find Dickens an uncongenial companion: I don't want him in my head. I doubt I shall read him again. Meredith, though, I intend to revisit from time to time. I love the flowery feel of his prose, his rather baroque sentence construction. 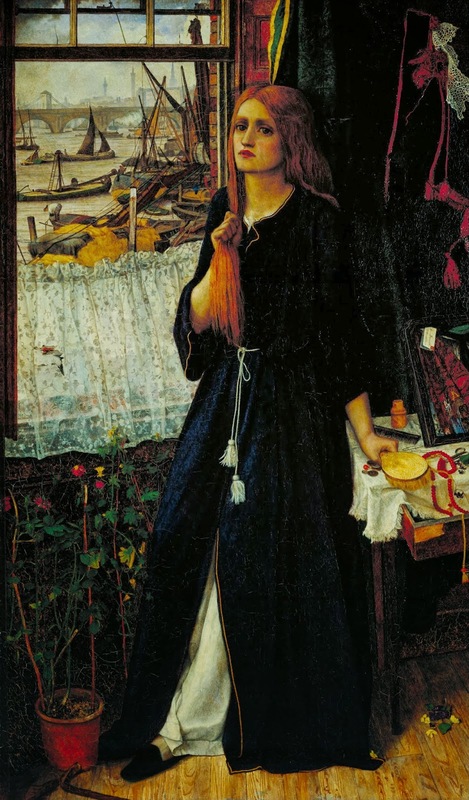 Surely preferring Meredith ought to come naturally to us Pre-Raphaelite buffs. We have been told from childhood that the PRs are an embarrassment and an aberration and that our enjoyment of them is a lamentable lapse of taste, but we don't care. 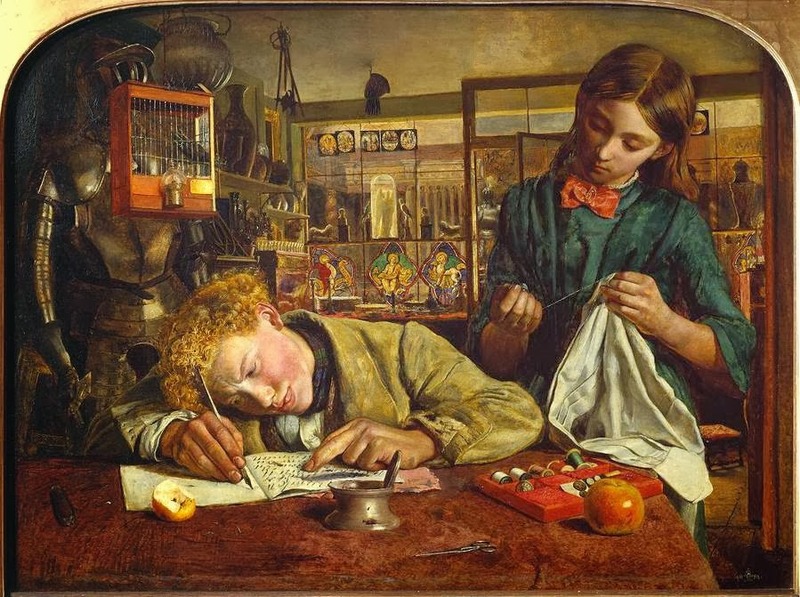 No, Peacock, Disraeli and Meredith are not 'Premiership' writers, but they suit us best. Through none of my extensive schooling did we touch on Meredith, Disraeli or Peacock (although I read the latter on my own by accident) so I blame the education system for my shocking lack of knowledge and there being no plaque. I don't mind Dickens but prefer Braddon or Wilkie Collins. I read and enjoyed Hard Times and obviously Great Expectations is almost compulsory reading because it is so well known. I do love Oliver Twist though, for Nancy. Disraeli's 'Lothair' has got a great sub-plot set in the art world and a thinly veiled portrait of Leighton. The Young England trilogy are must-reads, too. What most people don't seem to realise is how funny they are. Disraeli is incapable of consistently taking anything seriously. I think you'd enjoy him.